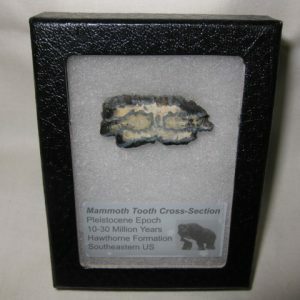 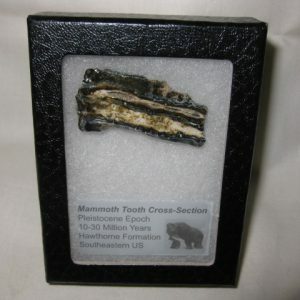 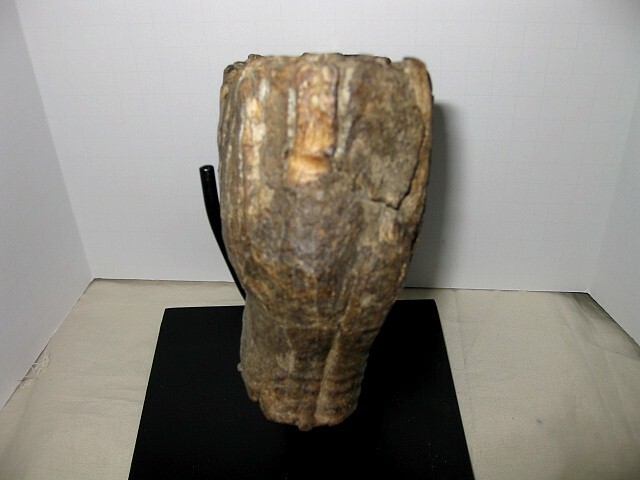 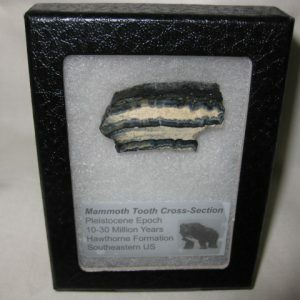 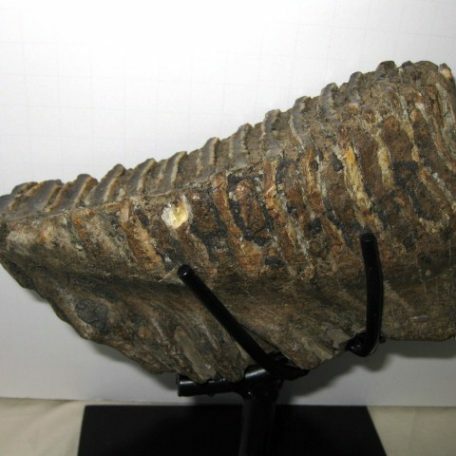 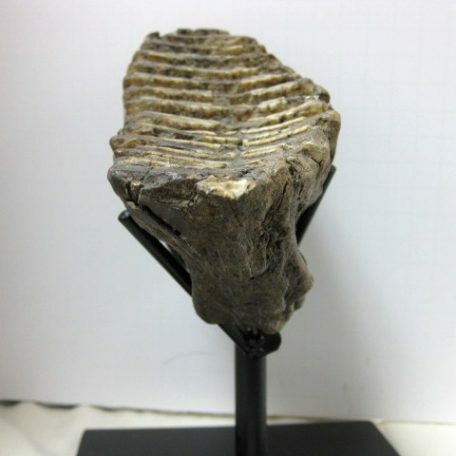 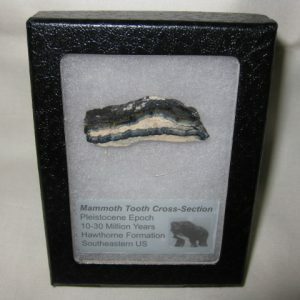 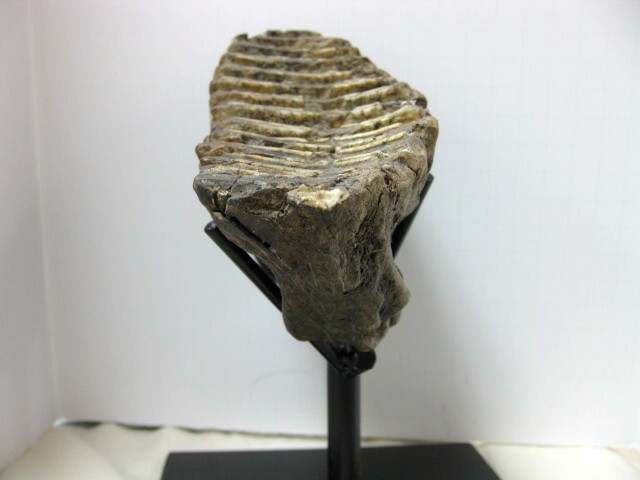 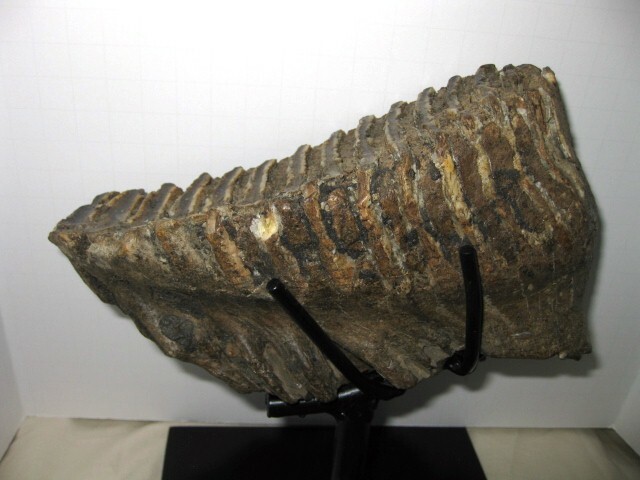 This is a VERY NICE Mammoth Tooth that is still rooted into the upper jaw of the Mammoth. 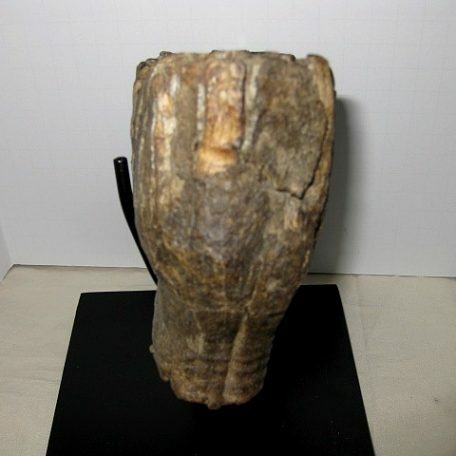 The tooth itself measures approx. 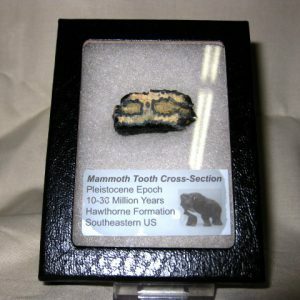 7″ long x 3 3/4″ wide. 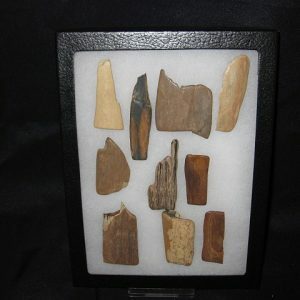 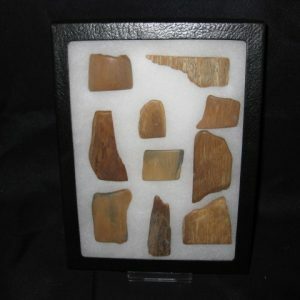 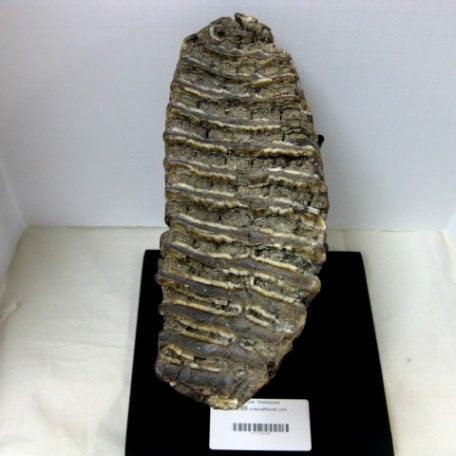 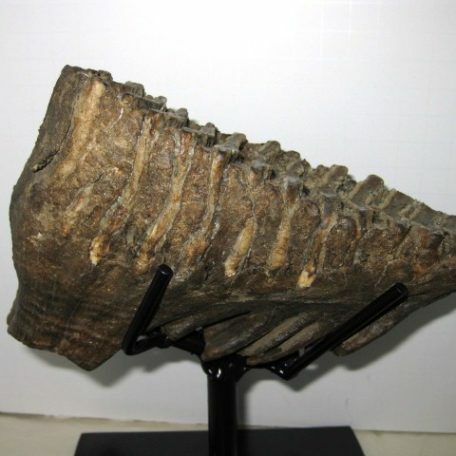 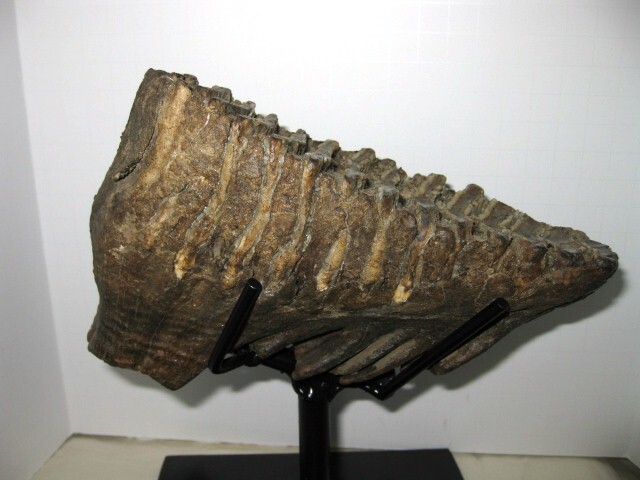 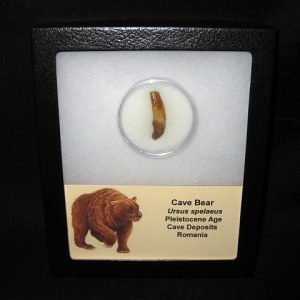 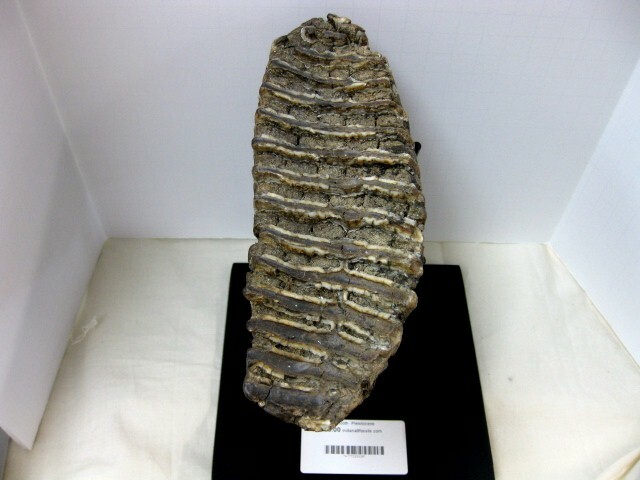 This specimen will come with the custom-made steel stand as shown.